With the development of coal industry and the improvement of mechanization of coal mining, the content of fines and coal in raw coal is increasing, and the water is rising sharply, which makes it difficult to recover and dewater the slime. 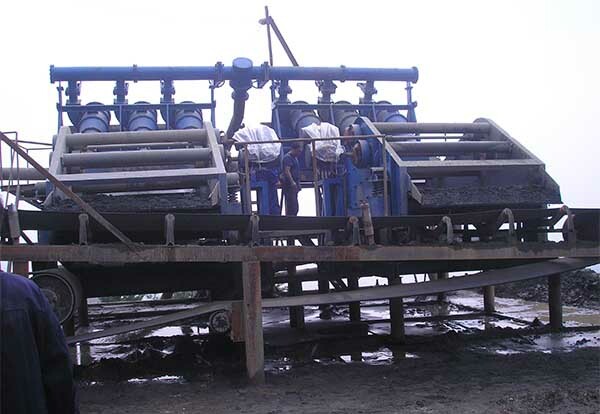 The coal slurry water treatment system has a large investment at one time, so the dewatering screen is developed for the cost-effective recovery of slime and dehydration products. The function of dewatering sieve is mainly to dewatering and de-intermediating the fine coal, so fine coal can be stayed mostly and get fine coal with low water content. It can also be used for dry and wet grading de-slurry of medium-fine coal. LZZG dewatering machine is easy to maintain and low noise. It has reasonable structure, so the dewatering machine is more wearable. It is very convenient for users to install and uninstall the machine. There are different models about LZZG dewatering screen, so you can choose dewatering screen with different process capacities according to your actual situation. Dewatering screens apply to dewatering and processing for fine particle materials. In the end, they can make the water content be lowest. If you choose to use LZZG dewatering screen, you can get quite large profit rate through reducing investment cost, because Longzhong is a professional dewatering screen manufacturer. Previous：What are the application of LZZG mobile fine sand recycling machine?